When I first opened my business (and in the months before), I found myself so uptight before bed that it was hard to relax. I would keep my computer beside my bed so if I had a thought about the store, I could complete the task really quickly, and if all else failed and I just couldn't clear my head, I would break out the Netflix, which would almost always result in that insulting message Are you still watching? Since then, I have really been working towards a nighttime routine that is efficient but also relaxing, letting me unwind after a long day. Making the bed before your day starts.Wait, I thought this was a nighttime routine? Yes, it is. But for me, part of what puts me at ease is unmaking my bed and climbing in. When I come home and see my bedroom in disarray, it automatically makes me feel cluttered and overwhelmed, so taking 3 minutes to straighten up in the morning and work wonders when it's time for bed. Keeping an organized nightstand. 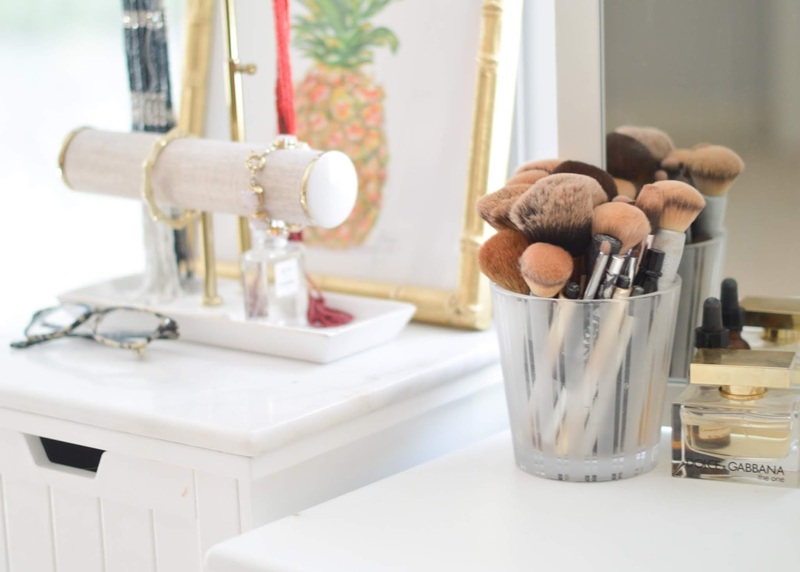 My husband is probably laughing at me if he reads this since I have 3 water bottles on my bedside table at any given moment - but I’ve gotten better about having excess clutter floating around. I used to keep books, etc. lying around, but now I put those back on the shelf or in my drawer if it's an in-progress read. I keep a candle and a photo as well as the lamp (and my water bottles) and everything else has to find a new home. Wearing comfortable pajamas.Sounds like a no brainer, huh? But I sleep so much better when I'm in something lightweight and comfortable. I slipped on a pair of cozy pants the other night but found myself changing because they kept pulling and tugging all night. While they were great lounge pants, they are no longer going in my pajama drawer! Skipping the TV. This one is tough for me. I used to spend every night watching TV and couldn't even fall asleep without it on but now, it's hard for me to fall asleep with background noise and distraction (my grandmother's advice about no TV in the bed has held true). Though my phone is so tempting (all those TV and movie apps), I now try (keyword) opt for reading a book or just taking a minute to meditate and relax. 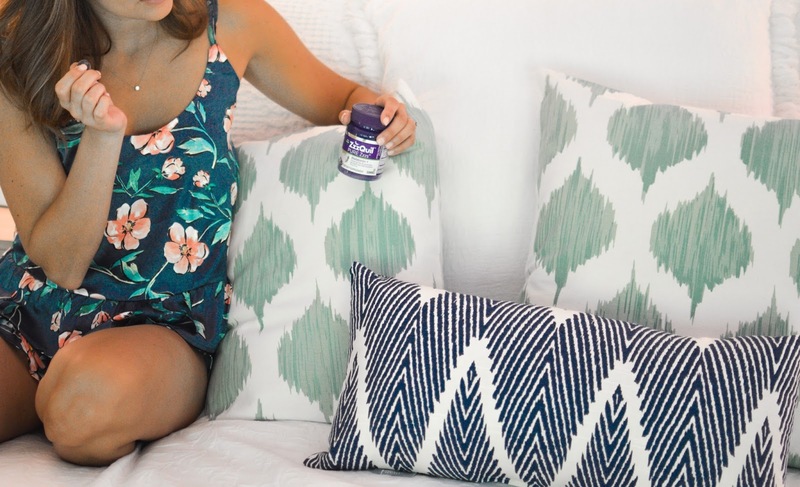 Taking ZzzQuil™ PURE Zzzs™ Melatonin GummiesYes, this is a sponsored post, but y'all - these have been a game changer for me! 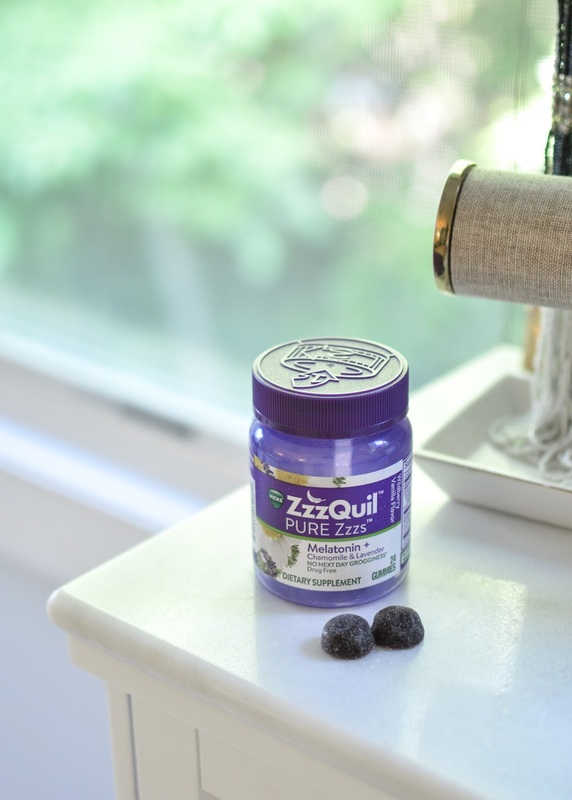 ZzzQuil PURE Zzzs Melatonin Gummies are vegan, vegetarian, gluten-free, drug-free and contain the optimal level of melatonin with no next-day grogginess*. They also come in a delicious Wildberry Vanilla flavor so taking two before bed has easily become my new thing. For a while, it was not unusual for me to not fall asleep until 1 or 2 am or to wake up in the middle of the night with a million things on my mind. 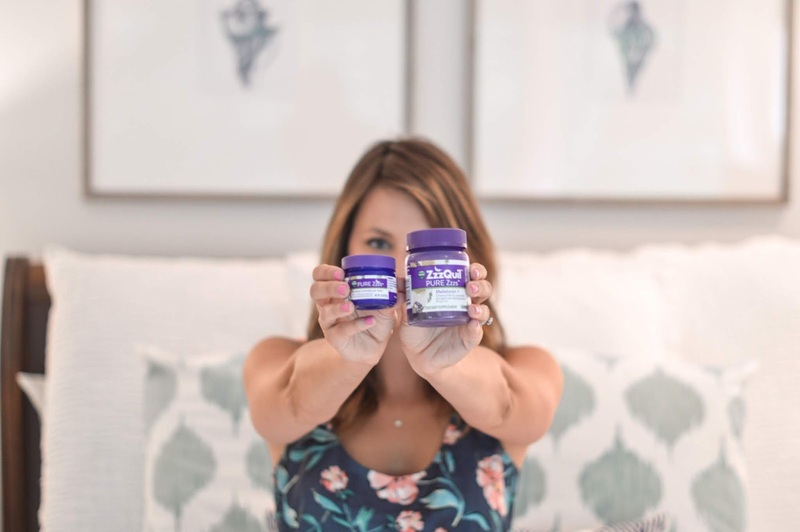 Now that I have these in my routine - I take them about 30 minutes before bed, before I wash my face and all of that - my sleep patterns and routines have completely changed. I'm so much more relaxed and fall asleep so comfortably and naturally, and wake up feeling refreshed*. Another thing I've added into my routine? The Vicks® PURE Zzzs™ Soothing Aromatherapy Balm. A little bit of this leaves me feeling moisturized and helps me wind down once I hop into bed. And who doesn't love lavender and chamomile essential oils? Last but not least! 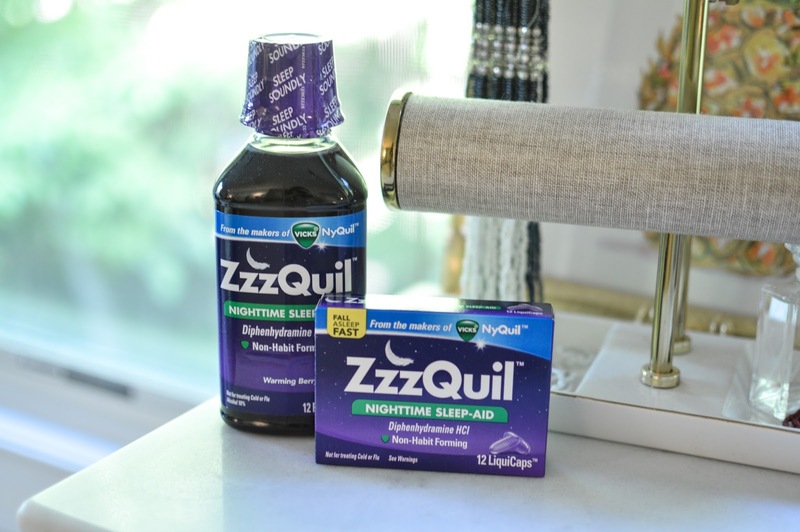 I take ZzzQuil on those occasional long trips when I need to re-adjust to different time zones. It helps me fall asleep fast and in as little as 20 minutes! 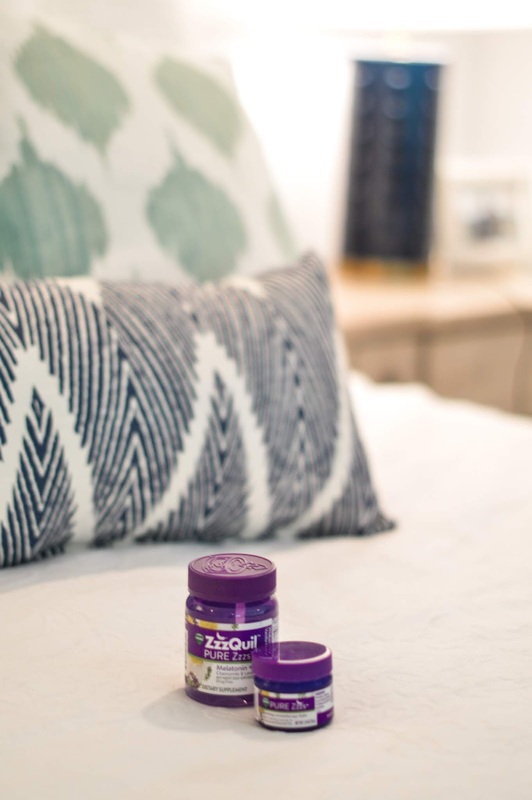 The Vicks PURE Zzzs Soothing Aromatherapy Balm can be used by itself or paired with either the ZzzQuil PURE Zzzs Melatonin Gummies or ZzzQuil Nighttime Sleep-Aid, just make sure not to use the melatonin gummies and ZzzQuil together. What are your favorite nighttime tips and tricks for a relaxing routine? And if you have any questions about these Vicks products, please let me know! They are my new go-to. Thank you to Vicks for sponsoring this post. All opinions are my own.